Does the weight of guilt last a lifetime? Anne Perry is one of the leading authors of our time. She specialises in crime novels and is famous worldwide. But her books hide a very real tale of murder and everlasting regret. Since she was 15 years old, Anne has carried an awful secret, a story of a young murderer forever trying to get beyond her terrible deed. 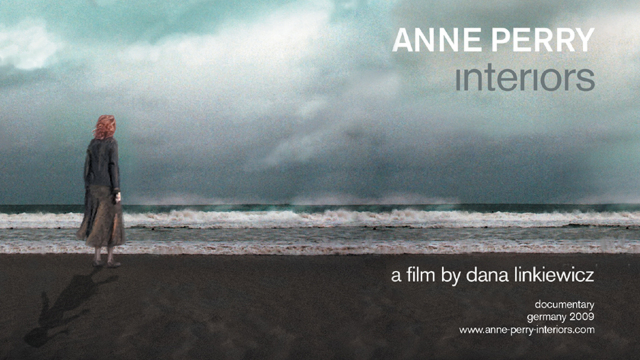 This intimate documentary enters the inner sanctum of Anne's reclusive life. "I knew it was wrong and I knew I would have to pay for it": Anne's broken voice bounces off the walls of her remote home in Scotland as she talks about the murder, "I was terrified Pauline would take her life and it would be my fault". It's almost 60 years ago since Anne and her intensely close friend, Pauline, murdered Pauline's mother. And the guilt for what Anne did is everywhere apparent: in her ceaseless writing, in her defensive wit, even in this living room's comfortingly high walls: "I did something stupid that I regretted for the rest of my life... but I can't undo it", she says, almost without hope. When the world discovered Anne Perry's story she found solace in a close coterie of friends, who would each defend her "like a bulldog". Years after the flashbulbs have stopped popping, Anne still comforts herself in constant writing and quiet routines, shying away from new relationships: "when you are going to work very hard at any job, there's going to be a certain amount of social connections you sacrifice". The characters in her novels attempt to overcome pasts that haunt them, and the people around her have become like characters themselves. "Whatever she is working on, changes all of us", says her best friend, Meg. Whilst her brother and editor often finds it hard to keep up with Anne's ceaseless work: "unsolved... yes", he says waking from his nap. She has constructed in her remote Scottish existence a life of unimaginable and comfortable isolation. Yet through her loneliness, Anne sees that a sea-change is coming. "You will meet the right person", says her friend Meg, "but you have to get out of your comfort zone". Speaking about what happened is a sudden breakthrough. But her brother feels that her complete absorbtion in her writing and the ghosts of her past, will never allow for a man in her life:"Empathy is not easy", Anne declares, speaking at a national literary event, "but a good writer can give you a multitude of lives, a multitude of joyous experiences and a few unpleasant ones too." A powerful documentary about the burden of guilt, in which the real story emerges as a powerful growing veneer, a haunting skin taking over the immediate narrative. The viewer will be left pondering this story weeks after the viewing. Dana Linkiewicz was born in Potsdam in 1976. From 1998 to 2002 she studied Communication and Design at the University of Arts in Berlin, receiving her MA in 2003. 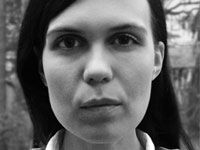 She has worked as creative director for commercials and music videos. Since 2005, she has embarked on postgraduate study in film and television at the Cologne Academy of Media Arts. 'Anne Perry - Interiors' is her graduation project. Linkiewicz had been interested in Perry's works as an author and her background for some time, and wanted to "portray the tension between Anne's past and her present". She began by writing to Perry, explaining her vision for the film, much of which is spent observing Perry at work and discussing her writing. After meeting for the first time and discussing Linkiewicz's concept for about two hours, Perry decided she wanted to be involved.